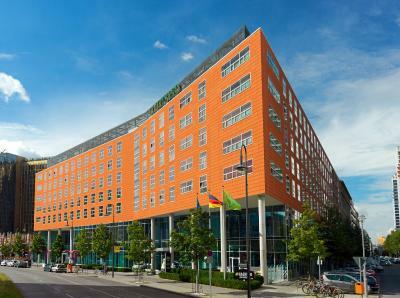 Lock in a great price for Courtyard by Marriott Berlin-Mitte – rated 8.6 by recent guests! 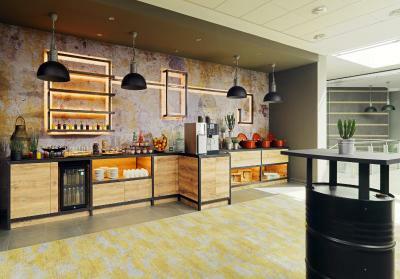 The location, the facilities, the breakfast - everything was good! Very nice, comfortable and silent room with big beds and even appropriate curtains. Good breakfast, good location, friendly staff. Value for money. 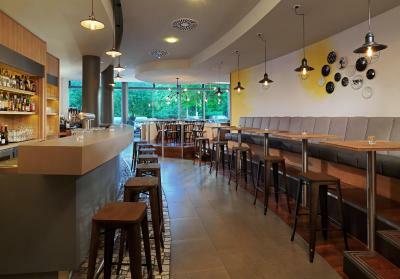 Location close to U-Bahn, good breakfast, friendly staff. The breakfast was fantastic with variety and quality choices including breads, meats, cheeses, cereals, waffles, and juices. 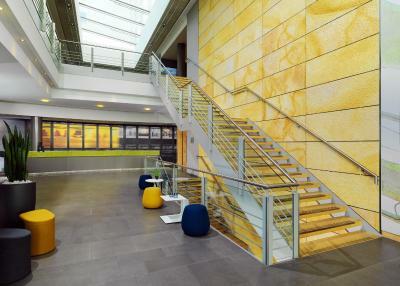 The staff was incredibly helpful and friendly. Very comfortable well located hotel. Could walk to markets shops etc. very comfortable beds and the suite room was very big. Great walking location to mall and museum island. Everything was wonderful! Close to the U Bahn! Breakfast was delicious! 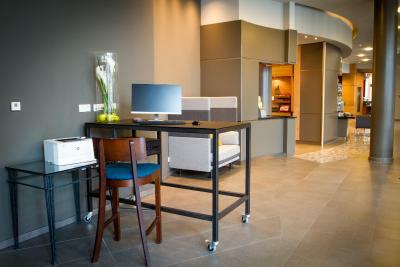 Staff were very pleasant and friendly and rooms were comfortable and very nice. Every morning they served a brunch. 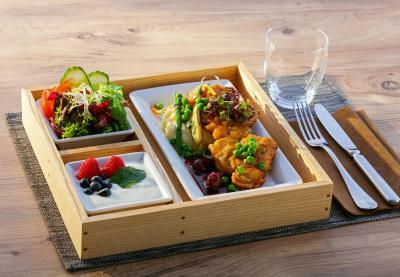 Everything from made to order omlets to Belgian waffles. 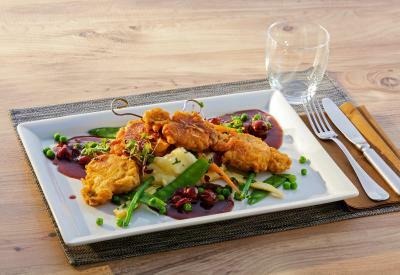 Juice varieties, breads and sweetbreads, salad, hot foods like sausages, potatoes, scrambled eggs, mushrooms. It was quite a pleasant surprise to know this was offered every day of the week! 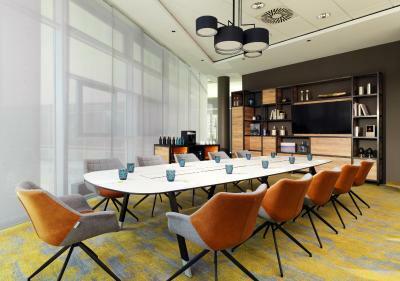 Courtyard by Marriott Berlin-Mitte This rating is a reflection of how the property compares to the industry standard when it comes to price, facilities and services available. It's based on a self-evaluation by the property. Use this rating to help choose your stay! 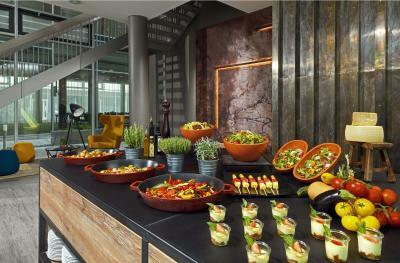 This Berlin Mitte hotel offers spacious rooms and extensive venue space. 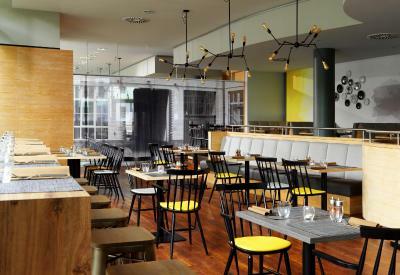 It features a gym and modern bar, and is a 10-minute walk from Checkpoint Charlie or Potsdamer Platz. 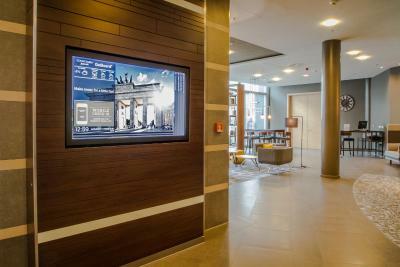 The modern, air-conditioned rooms at the Courtyard by Marriott Berlin-Mitte include satellite flat-screen TV and a laptop safe. 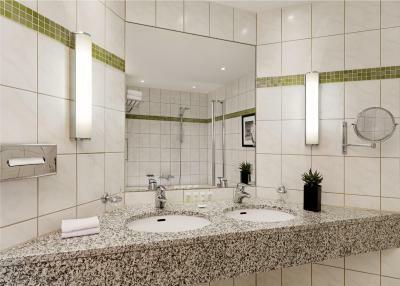 A hairdryer and toiletries are provided in the bathrooms. 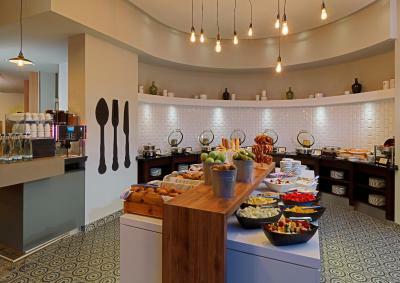 Coffee specialties are available daily at the hotel's Kitchen Bar restaurant. 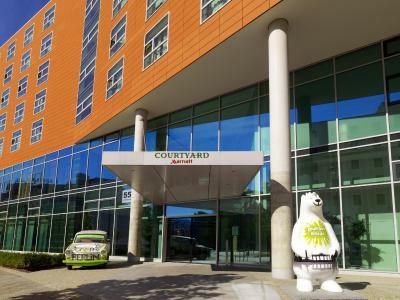 Guests at the Courtyard by Marriott can relax in the sauna or work out at the fitness studio. The hotel's food shop is open 24 hours a day. Spittelmarkt Underground Station is just a 5-minute walk from the hotel, providing connections to Alexanderplatz and Potsdamer Platz in just 10 minutes. 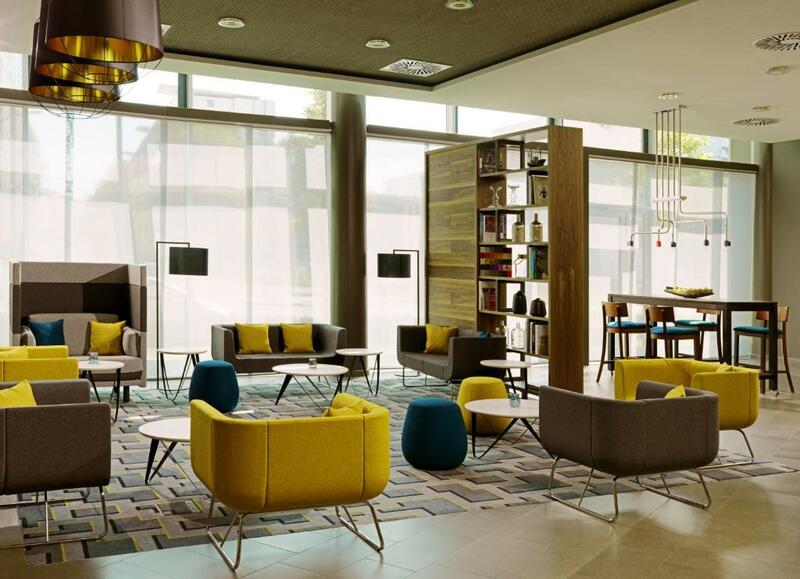 When would you like to stay at Courtyard by Marriott Berlin-Mitte? 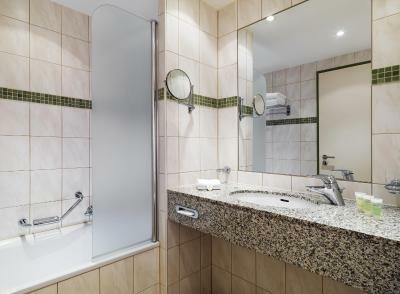 Renovated in 2014, this bright, air-conditioned room features a modern bathroom, tea and coffee-making facilities, and a 27-inch flat-screen TV. Public parking is available on site (reservation is not possible) and costs EUR 2 per hour. 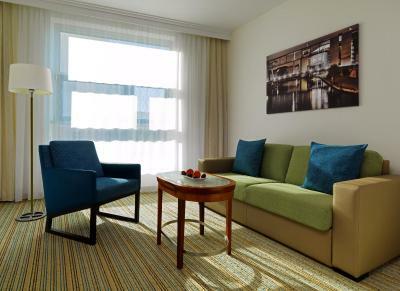 This bright, air-conditioned room features soundproofed windows, a seating area with a 27-inch flat-screen TV, and free tea and coffee making facilities. 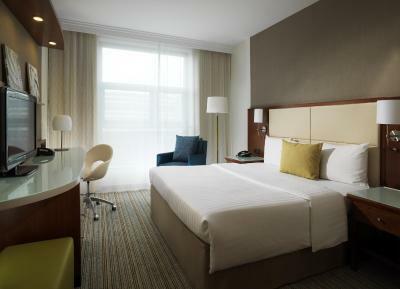 The room rate shown is based on 2 guests. Maximum occupancy is 3 guests (see Policies). 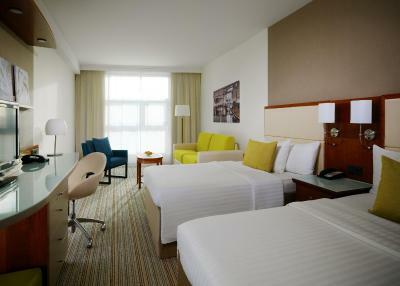 Renovated in 2014, this spacious room features 2 flat-screen TVs, a living area with sofa bed and dining area. The room rate shown is for 2 guests. Maximum occupancy is 3 guests (see Hotel Policies). This air-conditioned suite is very spacious and features soundproofed windows, a living/seating area with dining table, and a separate living room. 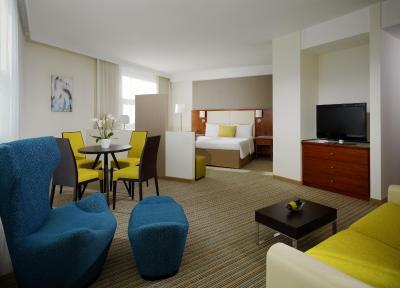 The suite includes 2 TVs with cable/satellite channels, and the bathroom has a bathtub with integrated shower. 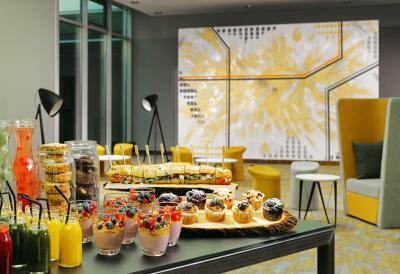 The Courtyard Berlin City Center with its new renovated guest rooms is a modern hotel in the heart of the city, close to Berlin´s cultural highlights, restaurants and shopping areas. Hotel surroundings – This neighborhood is a great choice for travelers interested in history, museums and monuments – Check location Great location - show map Guests loved walking around the neighborhood! 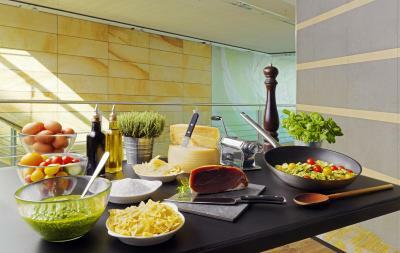 House Rules Courtyard by Marriott Berlin-Mitte takes special requests – add in the next step! 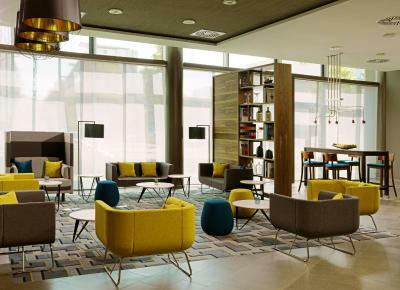 Courtyard by Marriott Berlin-Mitte accepts these cards and reserves the right to temporarily hold an amount prior to arrival. Shower head hose was a bit damaged but the rest of bathroom was nice and clean. Great location. Nice and clean. Spacious room. Sadly, due to the construction area outside it was a bit noisy in the morning, I could not sleep well and long because of that. And there is neither complimentary bottle in the room, nor mini bar in the fridge as it used to be in the past. 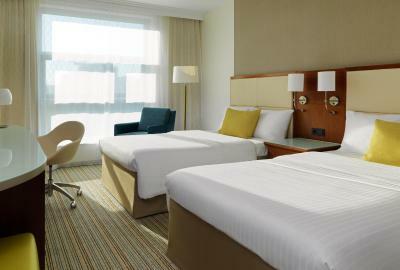 Comfortable hotel, nice breakfast, free wifi and spacious rooms. Fitness centre was enough to run it. 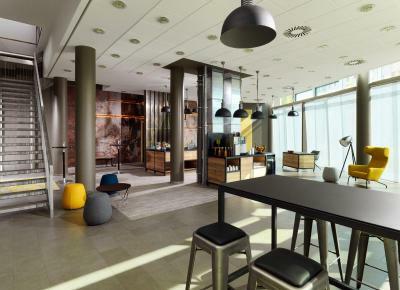 Nice reception desk. The room was not super clean, but ok. Room doors are very loud. Spa is super small. Sauna for 3 persons. The breakfast. Everything was fresh and delicious. Lots of variety. The staff was very friendly and helpful. Very nice location. 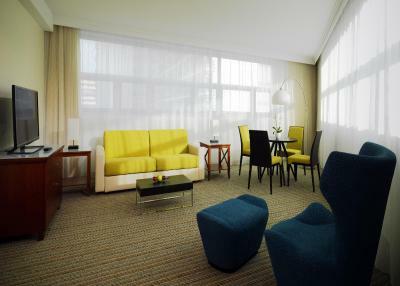 Clean, huge and very comfortable rooms. Perfect soundproofing that is rare for German hotels. Nice breakfast.